Brewer Description: (from menu) Oh El Dorado. We love you for all that you are – soft and subdued, stonefruity, and herbaceous. A true role player, a supporting actor, a helping hop. Always a bridesmaid, never a bride. Well, this is your time to step up! We teamed you up with some all stars – Citra & Mosaic – plus a similarly complementary hop in Loral. But this DIPA is about YOU, El Dorado. Shine bright like a diamond! Intro: On tap at Cloudburst Brewing, Seattle. A 16oz pour into a pint glass. Appearance: A lightly hazy golden orange colour, with a one finger white head that had pretty good retention, and left nice lacing. Aroma: Melon, passion fruit and citrusy orange with maybe hints of mango. Taste: Bitter, cantaloupe, melon, orange rind and orange juice. Overall: Good aroma and taste. Well worth a try. Brewer Description: (from menu) Guess what Shakira’s 3 favourite hops are? Cashmere, Citra & El Dorado. She told us that, so we made a beer for her. Luckily their flavors are fruity and herbal, so you don’t confuse them with OJ. But haze will be there and bitterness will be near, and that’s the deal my dear. Honestly, there’s nothing left to fear, if you really feel the way we feel… about IPAs. 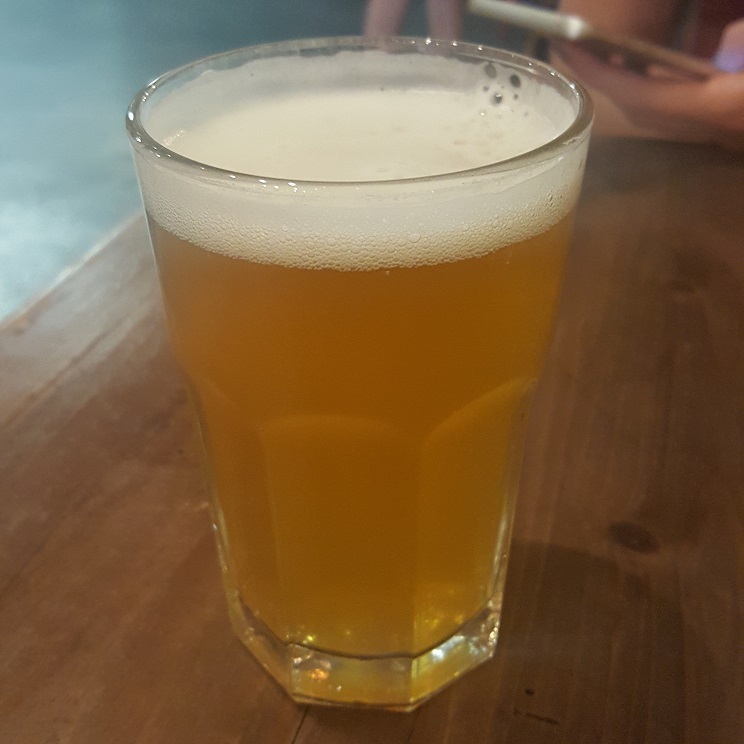 Appearance: It was a hazy golden straw colour with a one finger white head that had decent retention and left nice lacing. Aroma: Mango, peach flesh and citrusy mandarin. 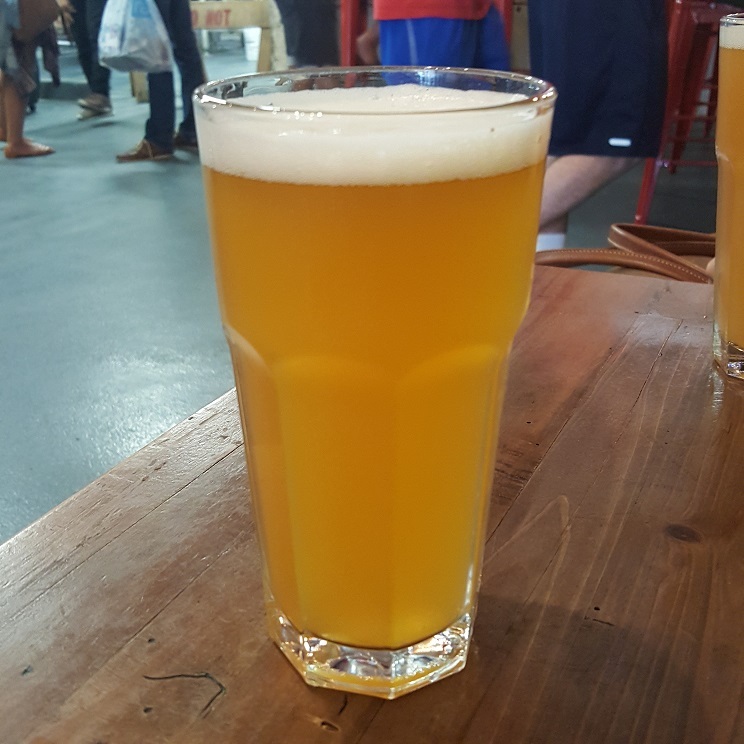 Taste: Similar to the aroma with mango and peach plus orange pulp, but bitterness comes through with citrus rind and peel. Overall: Nice and easy to drink but not as ‘juicy’ as other NE IPAs I’ve tried.